Flûte Alors! is very pleased to present the Recorder Rendez-vous – Youth edition, which will be held on Sunday January 27th. 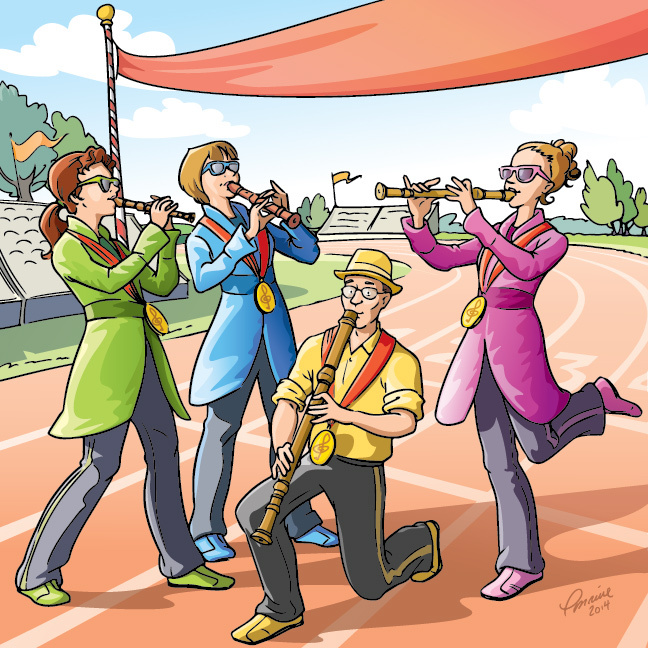 Presented in collaboration with the École des jeunes from Université de Montréal, this day is for young musicians recorder players aged 6 and up. Participants will take part in various creative workshops, and will have the chance to present the fruit of their labour to the public. Parents are not left behind, and are invited to take part in the workshop “Recorder 101”, which will give them a glimpse of the challenges facing young recorder players. Also on the schedule: a performance of the show for young audiences “Recorders on the Run”, a co-production between Flûte Alors! and Jeunesses Musicales Canada.